I live in Point Grey, and I love my neighbourhood. It’s a place I’m happy to share with other people, which is why I enjoy my work as a Point Grey realtor. It doesn’t matter if it’s UBC condos or Dunbar homes for sale, these are places that give others a chance to experience this special part of Vancouver. 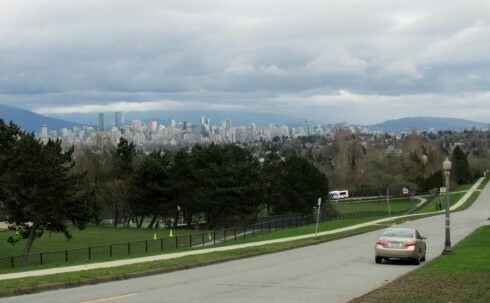 This is why I can’t help but pay close attention to plans for a slice of land near my own home: that’s right, the Jericho lands, a 90.8-acre chunk of property in the heart of Point Grey that offers spectacular views of English Bay and the North Shore mountains. The Musqueam, Squamish and Tsleil-Waututh First Nations acquired ownership of part of the site in a deal with Canada Lands Co. in 2013, and they’ve now signed a letter of intent with the province to acquire the remaining portion. Many people are anxious about the changes that lie ahead for the parcel, which has a long history as a military base and a home for schools and playing fields. Residents love taking a short cut through the property when walking dogs or on their way to the beaches. Now, they want a say in the future of the land. When it comes to Point Grey real estate or Kitsilano real estate, this is prime land. It will be several years before development of the property happens. The public discussions are going to be long and hard, just as they were when a vacant lot became Sasamat Gardens – a project that development consultant Michael Geller describes as a source of controversy at first, but a welcome alternative for Point Grey residents who didn’t want, or couldn’t afford, single-family homes. Speaking as a realtor and a resident, I can see both sides – but I also look forward to the opportunities the Jericho lands will offer new residents. A large part of the property is off limits to the neighbourhood right now. Opening it up will be good for everyone, those of us who live here now and those who have yet to discover all Point Grey has to offer.